If you want good soup, this is the one. This is a dish that I first experienced many years ago – in of all places – a cafeteria. My workplace used to be located in an office complex that had a cafeteria/restaurant that was communally shared. It was a bit of a greasy spoon but the food was good. For example, one of their offerings was a 222 (named after the painkiller) for $2.22. It was a fried egg with melted "cheese food" (those cheese slices that aren't legally allowed to be called cheese...) served on a buttered english muffin. Sound familiar? It was great for a hangover. They also made fresh sandwiches "in line" to your own specifications. One unusual creation you could ask for was a half egg salad and half tuna salad sandwich, with black olives. Ugh, you say? Try it. You will be really surprised. It’s great. Believe me. But one day I noticed a co-worker come upstairs with an interesting cup full of delicious smelling stuff. When I asked her what it was I was told it was “Italian Wedding” soup. 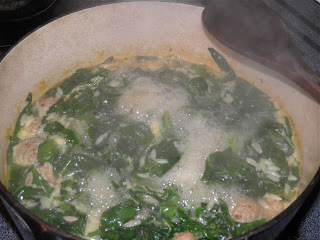 It was tasty tiny balls of sausage with orzo and spinach, all simmered in a wonderful broth. After a while the restaurant's lease was not renewed and a new one (far inferior and more expensive) was opened. The owners of the building were on a health kick. Nothing fried, and therefore nothing tasty. 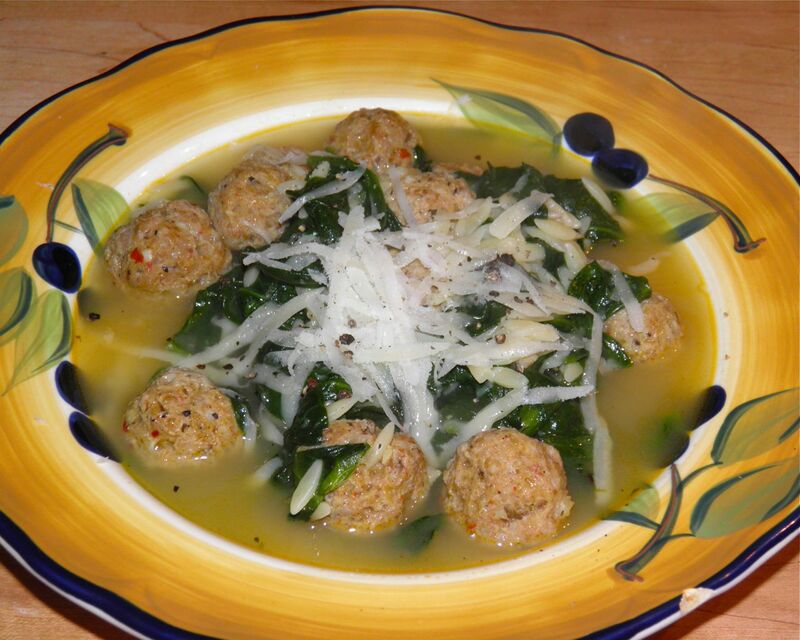 Our trips down to the restaurant dwindled away, but not my memories of Italian Wedding Soup. Since my only outlet to it was gone I decided the best way to rectify the situation was to recreate it. My meatballs probably are sacrilegious to purists, but so be it. They're tasty. My version has always met rave reviews, so here it is for you to try. 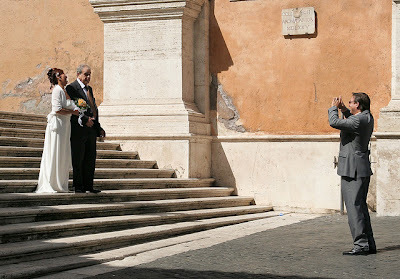 The general concensus among the food people is that Italian wedding soup (originally known as Minestra Maritata or Pignato Grasso) has nothing to do with wedding ceremonies. This particular "marriage" (maritata is the Italian word for marriage) is between vegetables or, depending on the origin, sometimes pork and vegetables, in soup. So there you have it, and here’s the recipe. Combine the sausage meat, onion, garlic, curry powder, parmesan, some pepper and bread crumbs in a bowl. Mix together well with your hands. Put some water in a small bowl so you can wet your hands. Take about 2 teaspoons of meat and roll into a ball with your wet hands. Repeat with the remaining meat. The smaller the balls the better. If you feel like using 1 teaspoon do that, but I find you will be rolling balls forever. Cook the orzo for 5 minutes. Then add the spinach and cook for 3 more minutes. After 3 minutes check for salt and pepper. Do not add salt until the end as sodium in chicken stock varies greatly. Serve with grated parmesan cheese, more pepper and some crusty bread.